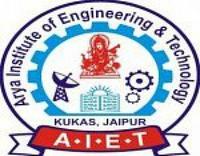 The eligibility criteria for AIET were based on the performance of candidates in IIT-JEE (main) entrance exam which is conducted every year by CBSE. I got selected on the same basis i.e IIT-JEE (main) for which I had appeared in The year 2016. The typical cutoffs for the course(B.tech) are same as that of cutoff scores decided by CBSE. Eligibility criteria for getting into Arya Institute of Engineering and Technology is based on 12 percentage. The entrance exam is JEE main and JEE advance. Cutoffs vary according to the results. Candidate must have passed the 12th from a recognized institute to get admission in this college. No separate entrance exam is conducted. Minimum 94% cutoff mark is required. You have to pass your 12th Board with the more than 50% of marks. A student has to write REAP entrance exam to get the admission. Anyone can get the admission by qualifying in the REAP which is conducted by the Rajasthan Board. You can also get the admission by JEE MAIN. The admission process is the two ways one is a direct admission and other is JEE MAIN entrance exam.